KF-42-BK | KWI Technology Inc. 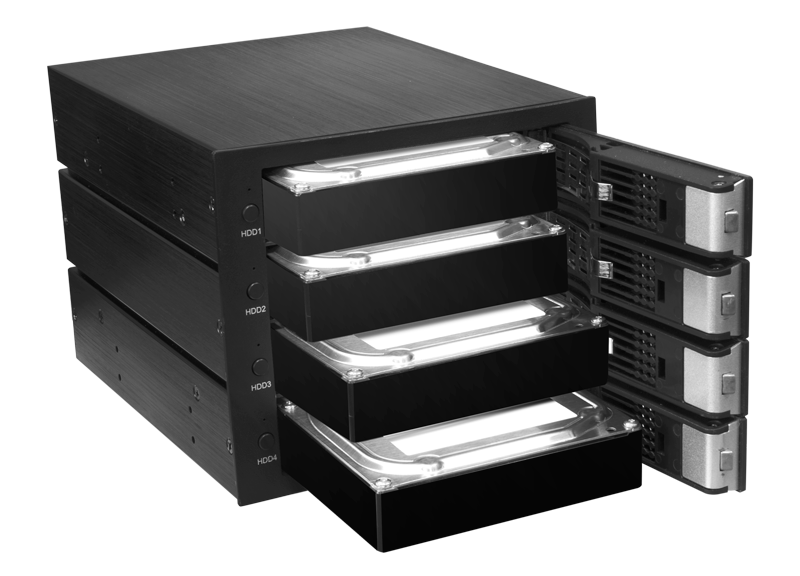 The KF-42-BK is a mobile rack from Kingwin that is part of their revolutionary new line, changing the way the racks are seen. 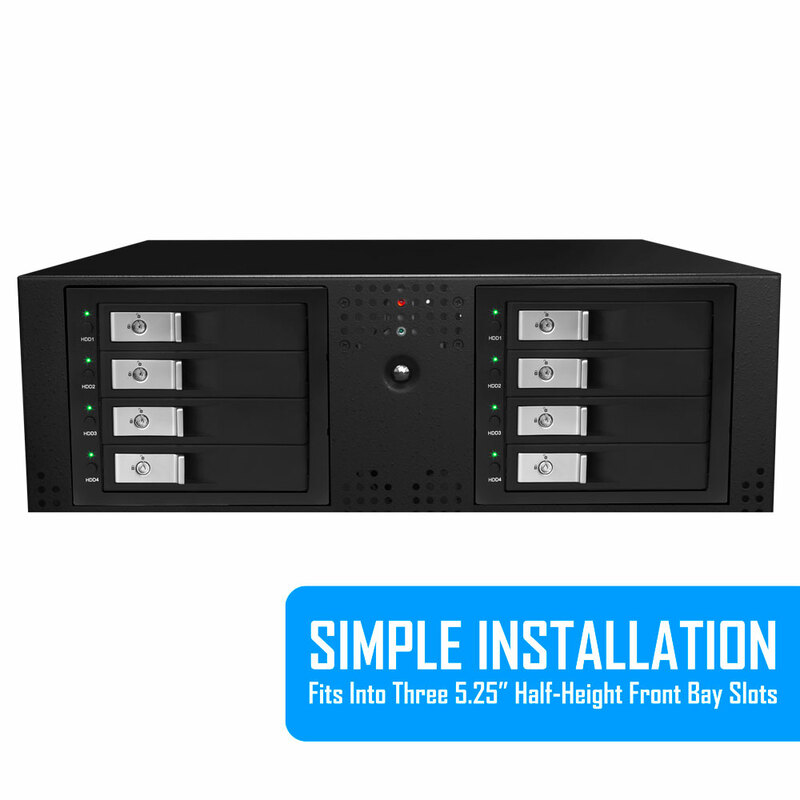 You do not need to be a professional in IT to install this rack because of its compatibility with most computer brands. 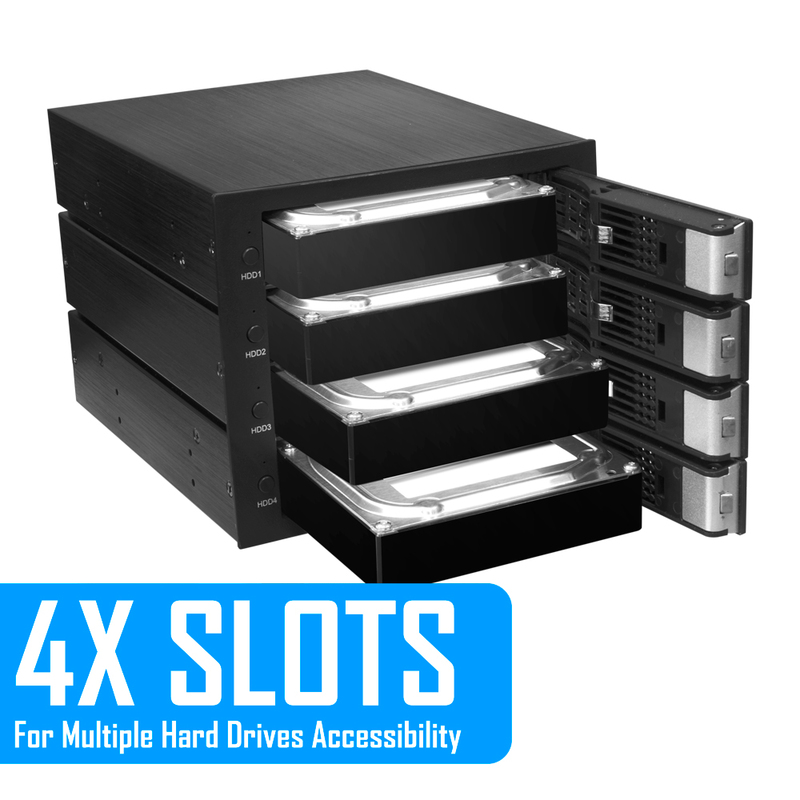 Its 4-bay slots make it easier to use multiple hard drives thus lessening the amount of time used when working with data for any reason. 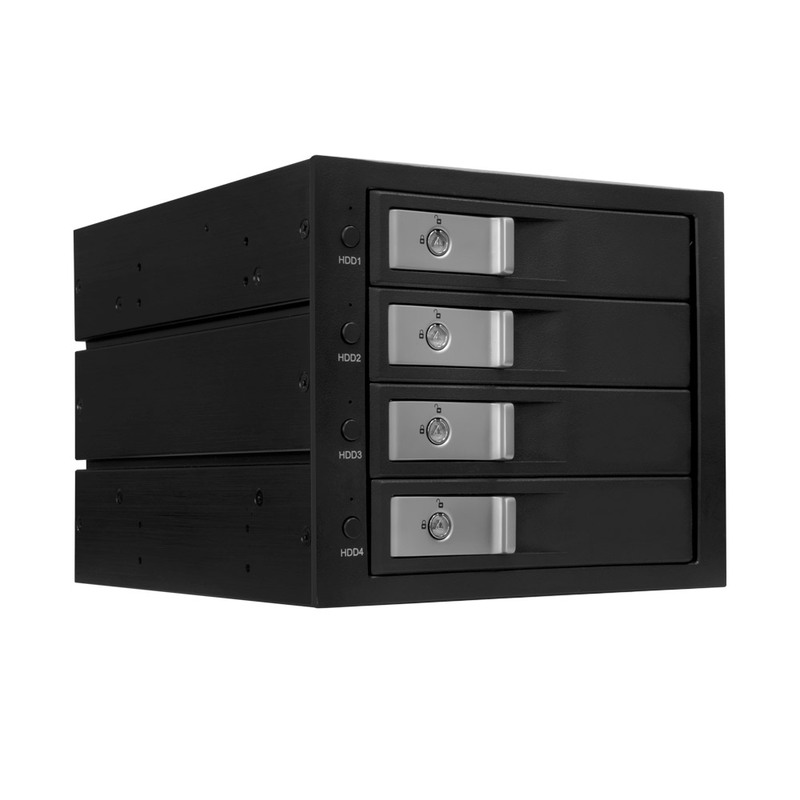 This 4 bay rack is also tray-less which contributes to its effective functions. 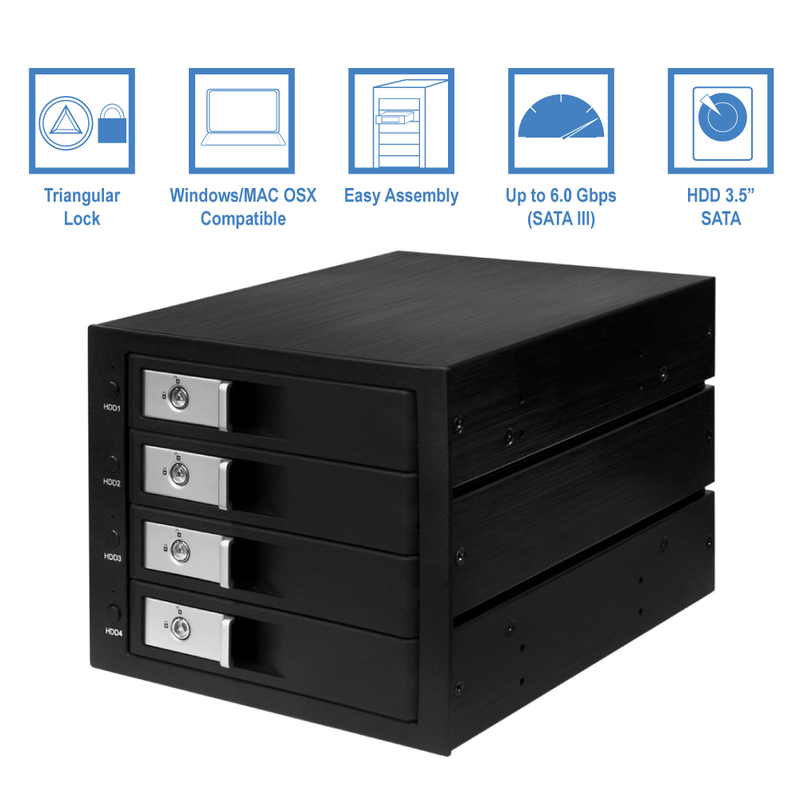 Better performance is the focus of the rack as it supports hot swap and RAID to increase its efficiency. 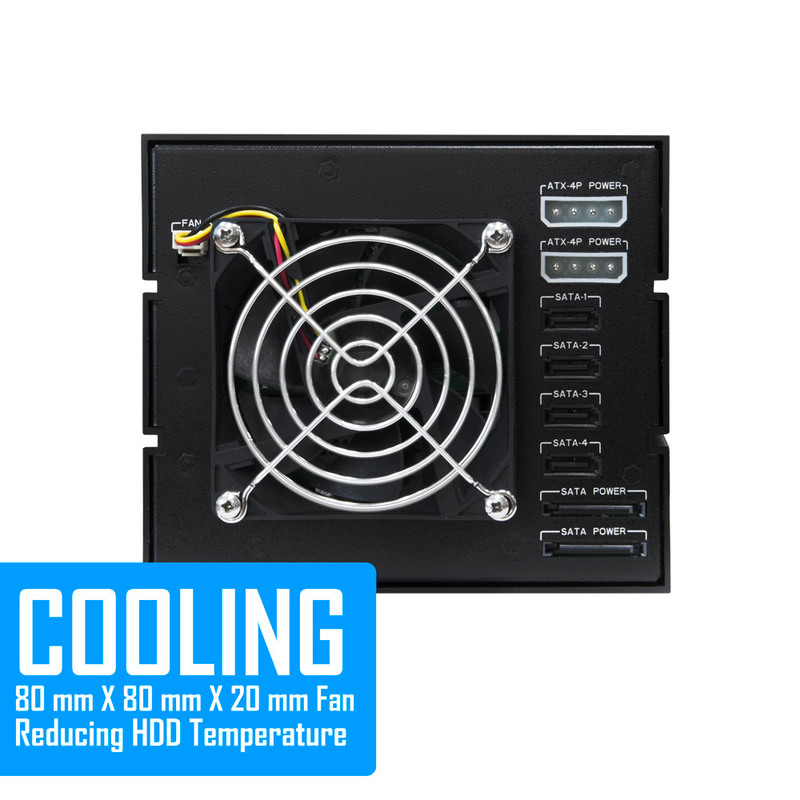 To ensure that as it functions like swapping of drives do not become hindered due to overheating, the unit has a cooling fan installed. The fan which has 80 x 80 x 20 mm as its dimensions can have its speed controlled using the fan speed control switch. The fan is located in the rear of the unit, ensuring that the air circulates throughout the unit. Also, the easily operational switch makes regulation of speed much easier for IT professionals. 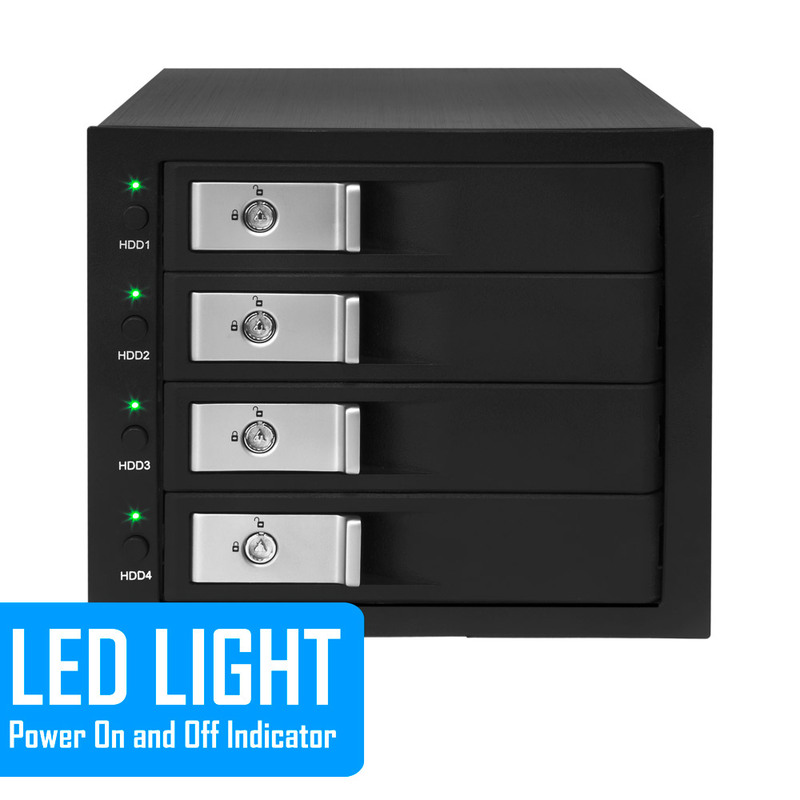 The HDD LED function which has an on and off switch is also regulated in a similar manner thus ensuring that it works optimally. Working with the KF-42-BK is possible even when handling projects remotely because of the ease in set up. 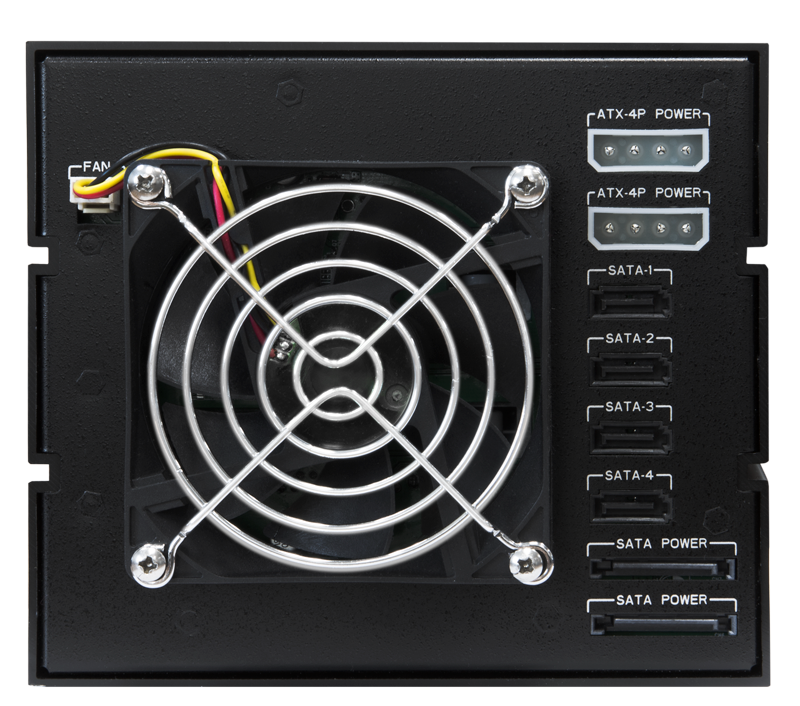 Its power connectors, SATA 7 pin and 15 pin serial ATA are the lifeline of this mobile rack especially when installed properly. Its serial ATA interface is responsible for the maximum speed bandwidth of 6 Gbps for SATA III drives. 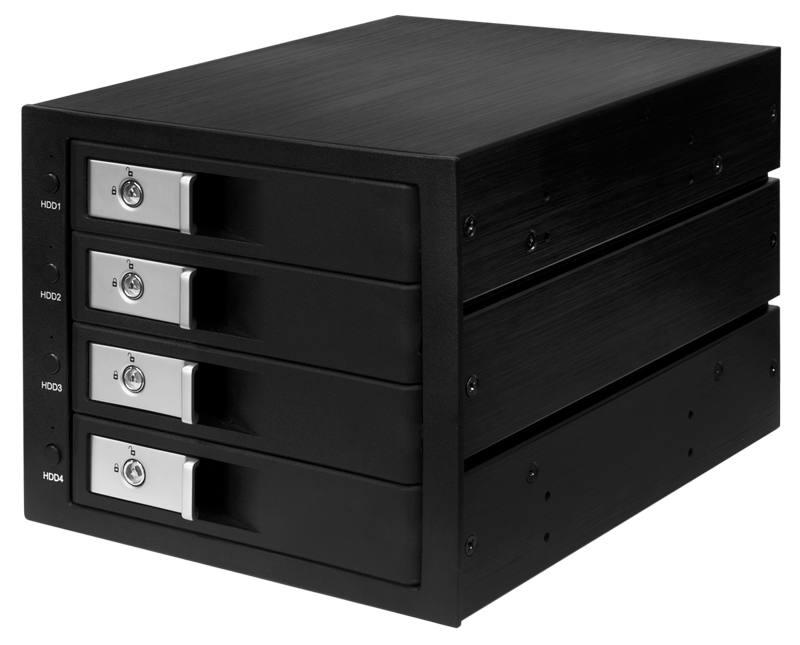 Speeds as those displayed by this 4-bay rack indicate how fast the transfer of data will take place when using this particular unit. In addition, a 3.5” SATA H.D.D. can also be connected to the device for better functioning. For H.D.D installation, the tool-less design of the unit makes it much easier and faster to take advantage of its functionalities. The design of the KF-42-BK includes an aluminum bezel which has a latch door that is opened and closed as part of its function and at times the door needs a firm push to close well before it can function well. It is generally lightweight, less than two kilograms, making it portable regardless of its location in the office or home. 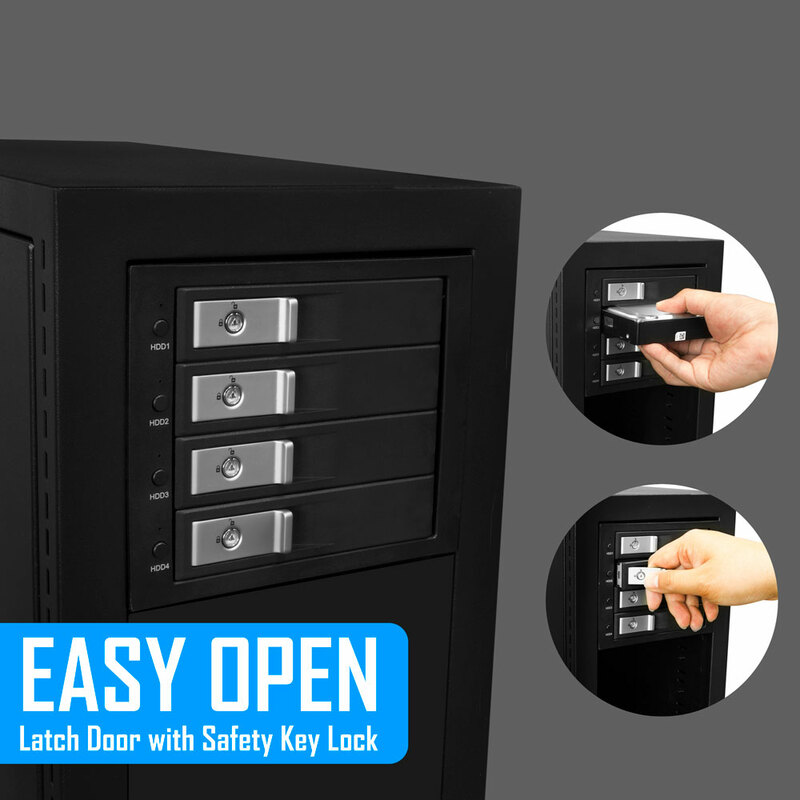 Valuable data is kept secure using a locking mechanism that has a unique key for the owner of the unit or the IT department in the organization. The indicator of activity on the unit, which is the power and HDD LED is displayed through colors. Green color indicates that the unit has been powered on while blinking color is for HDD activity.